A cricketer’s equipment will not be complete without a helmet. The latter will provide the maximum protection that is needed by the head. With the abundance of the options that are available, each brand claiming to be superior than all others, which one should you choose? 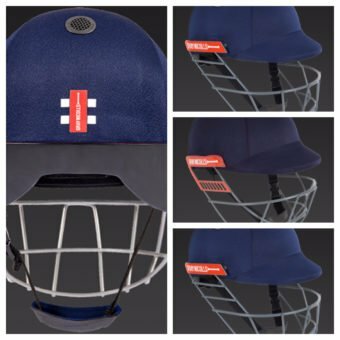 Gray-Nicolls Cricket helmets should be on the top of your list! Gray-Nicolls is a company that started in 1940s, following one of the most successful mergers within the product category. Prior to this, they are two companies that both specialize in creating cricket bats – H.J. Gray and Sons and L.J. Nicolls. After the merger, they produced some of the best bats in the history of the sport, with the first one being used by Wally Hammond in 1945. In 1956, on the other hand, Keith Miller also used the company’s bat. Even if helmets are not at the forefront of the company, it is known as one of the best in the global landscape. Amongst their many achievements, one of the most notable is when they became the first company to be granted accreditation by both British and Australian standards institutes. 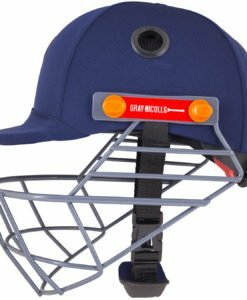 Weight, comfort, and safety are three of the pillars that guide the design philosophy of the Gray-Nicolls batting helmets. You can be assured that each product is an output of thorough research and rigorous testing. They are not only after creating protective gear that excels in aesthetics. They exert effort in the evaluation of the best materials that are available. They work with the best people in the industry to make sure that the production process is flawless, so as the final product. 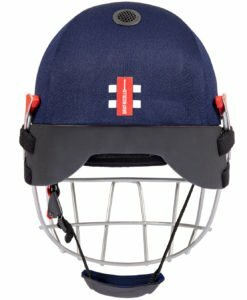 Amongst their several designs, one of the most popular is the Test Opener Cricket Helmet. The Apex-grille, which is factory-fitted, is one of its notable features. Between the grill and the rest of the helmet, there are also shock absorbers, which will minimize the impact that you will feel, and hence, making you feel comfortable. 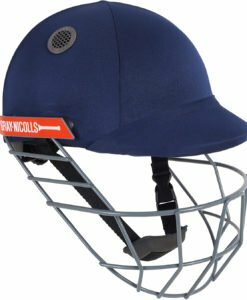 The Atomic Cricket Helmet is also popular, which also comes in junior size. It comes with reinforced, non-flex peak, which is one thing that makes it exceptionally durable. It has an ABS outer shell, which is covered with satin cloth, providing the helmet with a sleek appearance. There are also three vents to encourage sufficient air circulation. 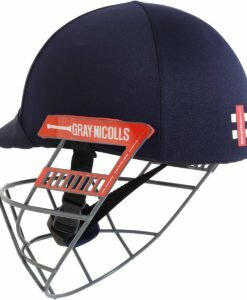 With Gray-Nicolls Crocket helmets, you can play with confidence, knowing that you are wearing a protective gear that delivers the best when it comes to safety and comfort.